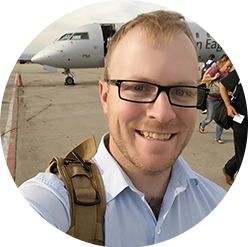 My name is Doug Collins, and I am a UX Engineer for a company that offers software, web apps, mobile apps, and services to financial advisors. You can find out more about my UX Engineer work at DenverUXer.com. I have previously worked as a team lead and interactive designer and developer, a front end web developer, sports journalist, corporate trainer, call center phone monkey, waiter, sales manager, executive producer, operations manager, and carney. I have a passion for cooking great food, seeing the world and all of its beauty, and shiny, expensive, electronic things that make my wallet cry. When fall begins to roll in, it means that hiking season is quickly coming to a close. With a beautiful weather forecast for the weekend, now’s the time to get in one last good hike for the season. Here are three parks close to town (but far enough away to feel away from it all) that could be on your list this fall. Matthews/Winters Park gives one of the best views of Denver’s “Hogback” and Ken Caryl Valley. 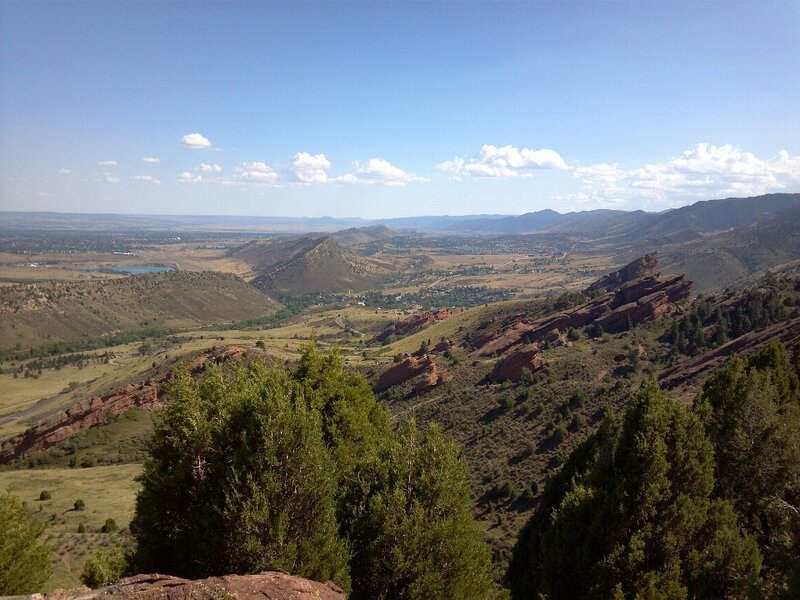 Located right next door to the famous Red Rocks amphitheater just west of town, this hike features a walk past a historic cemetery and hike up a ridge with a beautiful view of all Denver and Red Rocks itself. A common path is a loop that runs over the Village Walk Trail, up the switchback on Cherry Gulch Trail to the top of the ridge, and Red Rocks Trail AWAY from Red Rocks, which leads back to the Cherry Gulch/Village Walk intersection. The switchback section of the trail is a bit rough, but the view is worth it. This is a great trail to take if you want to fit a hike and Red Rocks into the same day. You can visit Red Rocks and then take a hike, or you can actually hike from the Matthews/Winters parking lot all the way to Red Rocks, though you’re looking at a much longer hike if you decide to go that route. Roxborough State Park is a jewel of the Denver area, offering views of red rock formations and scenic hikes without going too far from home. This is one of the most beautiful places around Denver, bar none. It may be a bit late to catch all the fall colors, but this place absolutely glows with color this time of year if you can catch any of it. 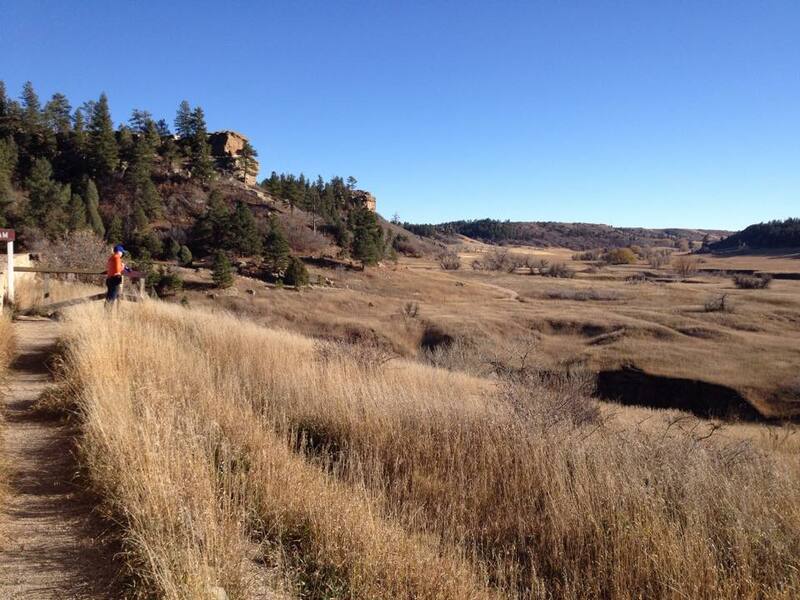 Apart from that, Roxborough has a host of trail options that make it really easy to control your difficulty and mileage. Tougher trails include the hike up Carpenter’s Peak, a moderate to steep switchback trail with a summit height of 7,160 feet. Cottonwood Canyon offers a choice between hiking the canyon rim or floor, literal flocks of birds of prey, and historically significant sites. Cottonwood Canyon is a beautiful hike through a river gorge and canyon, with the option to get up on top of the canyon itself, past a crumbled, out-of-use dam that was one of the first in the state. I often see birds of prey hanging out above the canyon, playing in the wind currents. The hike through the canyon can get more chilly than the rest, so make sure you pack a warm, long sleeve shirt for that particular section. Cherry Creek State Park – Located very, very close to our office, this state park is part reservoir, part flat hiking trails. Great for a quick getaway. Golden Gate Canyon – More of a mountainy feel, but still with great views of the Denver/Boulder area. Mt. Falcon Park – A beautiful hike in the pine trees with several sites of historic significance. One of the big draws, apart from the scenery and wildlife, is the cornerstone for the “Summer White House.” This was laid here, and although construction never continued, you can still visit the cornerstone and learn more about the site’s history. Meyer Ranch Park – A moderate hike through the pines west of Denver. This hike is all about experiencing the forest and wildlife, and has an excellent payoff at the end. Moderate difficulty. Deer Creek Canyon – One of the best “mountain-y” hikes for its proximity to the city. Hayden Park on Green Mountain – Completely exposed, but moderate difficulty and the best direct view of the city in the metro area. 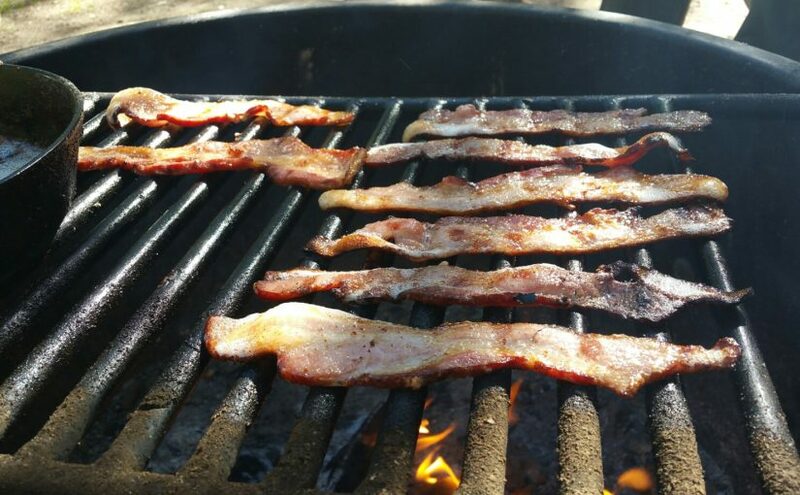 If you’ve never had thick-cut, smoked bacon cooked over a campfire, stop what you’re doing now and get on it. Few things in life were as satisfying than my breakfast staple over the weekend. For the first part of this week I’m traveling out to DC to visit my wife, who’s spending her summer months in an internship at the Smithsonian. 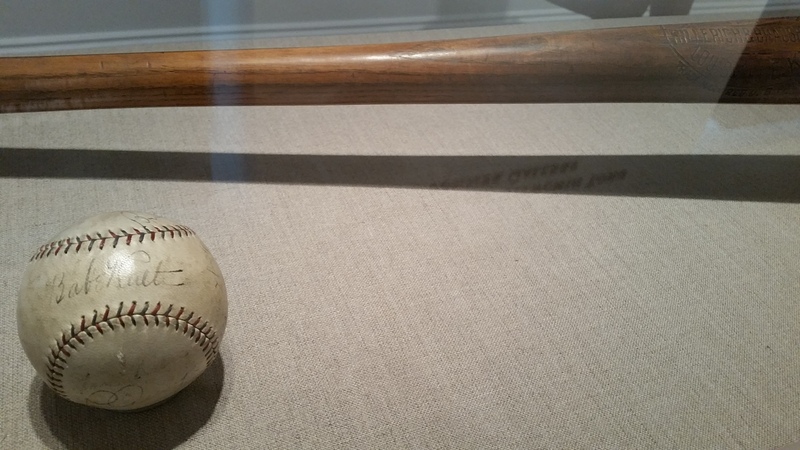 Yesterday we went to visit the National Portrait Gallery (a wonderful experience in itself), and visited a small exhibit dedicated to Babe Ruth. Being baseball fans ourselves, we couldn’t help but take a gander. 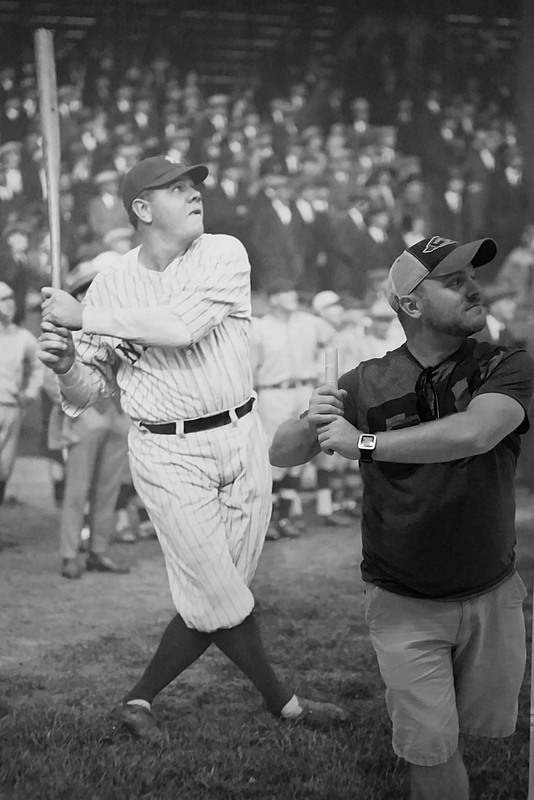 Not only did they include some wonderful portraits of the Babe throughout his career, but pictured very predominantly was an autographed Babe Ruth baseball and game-used bat. For two people who were just strolling through a building of national treasures in a building full of priceless artwork, it was a bit of a surreal experience to stumble across one of the Holy Grails of the sports memorabilia world. I’ve never before seen an actual Babe Ruth autograph, and never expect to again.